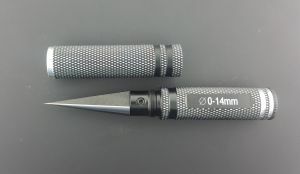 Super sharp cutting tip cuts and enlarges holes in Fiberglass, polycarbonate, ABS, balsa and other hobby materials. Fluted blade removes debris while cutting. Inlcudes screw on cap to help protect the blades.